The cupcake decorating class is super fun to take! Tony is a hilarious instructor who is also able to demonstrate the decorating techniques in a way that makes it easy for anyone to replicate. Hands down: best cupcakes around. 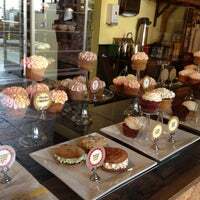 Their cake is flavorful and soft and their frostings are to die for. 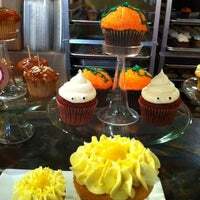 No reason to bother with the other cupcake places- they've got nothing on yellowleaf! 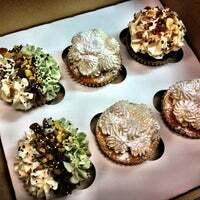 Best cupcakes in town. 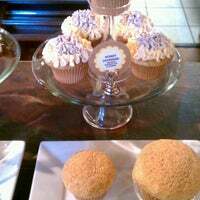 The milder flavors eg lavender, vanilla etc are not sickeningly sweet like most other cupcake brands are. Creamy & smooth. Best cupcakes in the world. Try the Boston Creme... but honestly you could choose anything on this menu and it's guaranteed to be great. Good. But expensive. $4/cupcake. We spent $17 on a cup of tea, a cup of coffee, a cupcake, and a cookie. $17. Wow. Don't be afraid of the more adventurous flavors! Trust yellow leaf, they are all delicious. 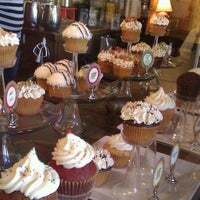 Try the Tomato Soup Cupcake - Absolutely PERFECT!! Has Campbell's in it. Chocolate lavender macaron is amazing! 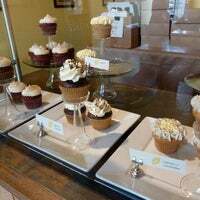 1 Of The Best Cupcake Bakeries In Seattle!! <3 Delicate Yellow Leaf Cupcakes!! They have gluten-free cake pops everyday and gluten-free cupcakes on Fridays. 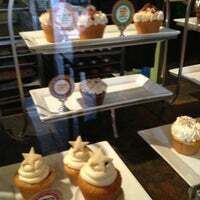 I just had the almond cupcake....I've died and gone to heaven! Best cupcakes in the world. Try the boston creme! not just great cupcakes, but also really cute homemade cards. 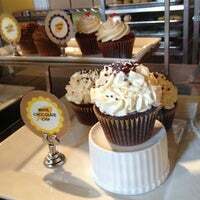 love the cupcake minis! Best macarons I've found in Seattle. Some lucky individuals are getting a cupcake surprise today :) That should make up for the rainy weather. Boston Creme Cupcake is to die for! They are ok, alittle rich. so far I like Cupcake Royale. Italian Butter Cream...sweet, simple, and sophisticated! 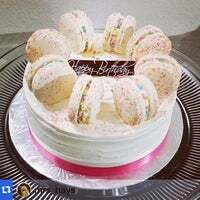 Birthday cake macaroons is yum! They have happy hour on cupcakes! Got the frozen custard for the first time... Really disappointing. It's like elastic and not nearly creamy enough. 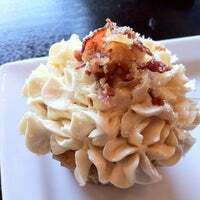 The vanilla latte cupcake is a nauseating, bland blob that you'll have to choke down to get it over with. Gross. 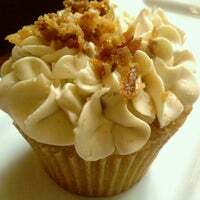 Get the carmelized bacon and maple frosting cupcake! 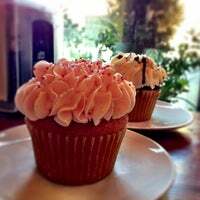 The root beer float cupcake is awesome! Bacon and Pancakes for the win. I think they are the only ones brewing Vivace blends in Belltown. Delicious French-pressed Vivace. giving a cupcake as a b-day gift? ask for a candle & they'll provide one. 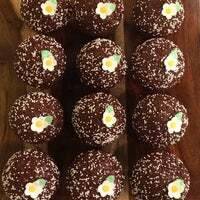 want to try tomato cupcakes! 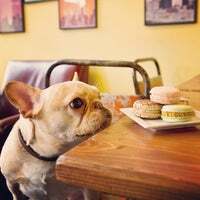 The Yellow Leaf Cupcake Co. is Seattle's truly gourmet downtown cupcake-French macaron shop & micro-bakery. 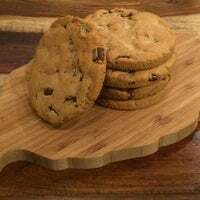 Baked from scratch daily. "Everything is a little pricy, but good quality. Get the caesar salad with steak, my lunch favorite." 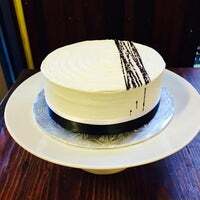 "Best pastries in Seattle! Everything is great, but the quiche and croissants are particularly amazing." 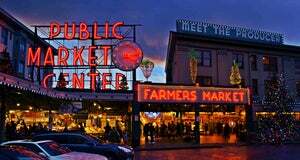 "Stupenda la vista su seattle. Cena romantica a prezzi altini ma cibo passabile"